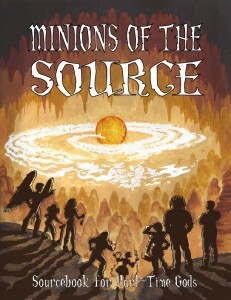 Third Eye Games is proud to announce the release of two new sourcebooks for Part-Time Gods, the game of divine powers and mortal responsibilities. Funded as stretch goals to the Divine Instruments Kickstarter campaign, Minions of the Source and Return of Dragons each feature new content to enhance your games. 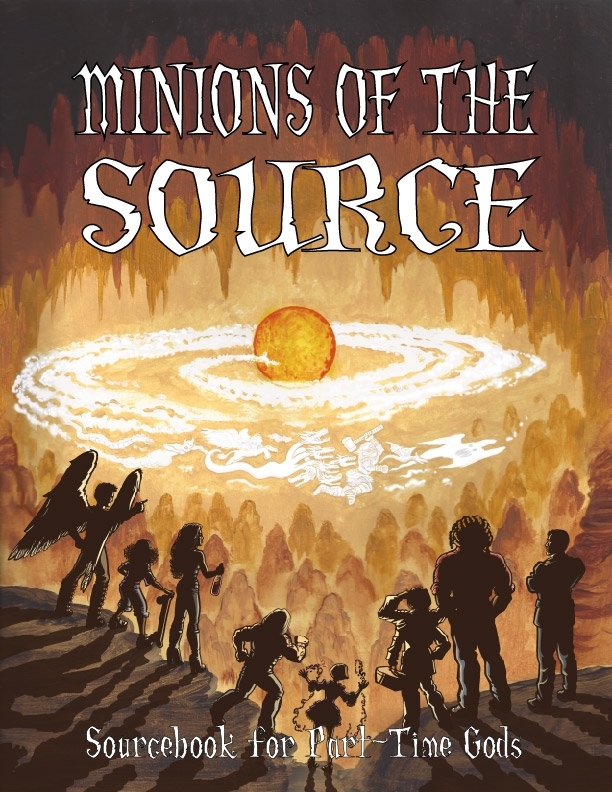 Minions of the Source details the elusive entity known as the Source, as well as the Outsiders who do its bidding. This book contains over 40 new Outsiders and Relics to add to your game, including Manticores, Black-Eyed Children and the mighty Sphinx. It also includes three new Theologies and a brand new adventure to tie everything together. View our entry in the Roleplayers Chronicle Reference database here. Dragons existed long before the gods, and now they are returning to wrest control back from the gods who have let the world decay. In Return of Dragons, you’ll learn how to add these venerable creatures to your game in a way that best suits your story—be they friends or foe. This book also contains a new adventure to help set the tone for dragons in your world. Each book is now available from OneBookShelf and the Third Eye Games online store. Visit http://thirdeyegames.net to get your copies today.